Join us with guest speaker Rachel Hering, executive director of Cooperative Teamwork & Recycling Assistance (CTRA) along with special guests, City of Frisco Environmental Services Department for our second workshop in the City Management Series. 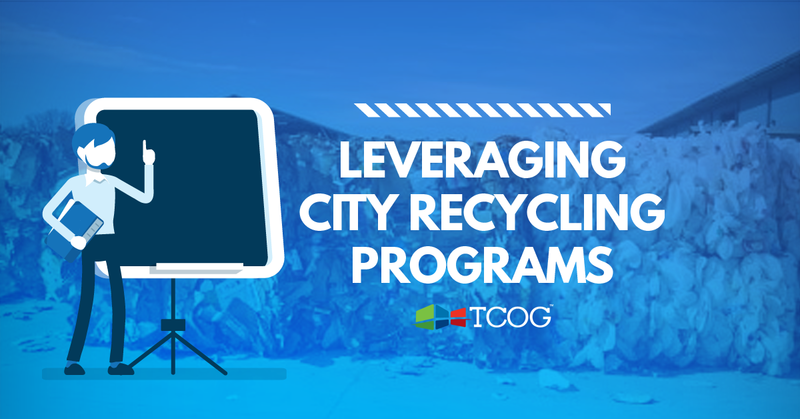 This event will focus on leveraging city recycling programs while facing industry challenges and making programs sustainable. Join Texoma’s city, county and ISD leaders (interested stakeholders, elected officials, City Managers, City Secretaries, Public Works, Environmental Services, Planning & Zoning, Economic and Community Development Professionals, Schools and non-profit organizations) for a practical, hands-on skills building workshop about relevant topics in management and development and a chance to connect and collaborate with your peers about common challenges. Presentations by industry experts tackling real problems, two hours every other month. Tea, coffee and water are provided. About CTRA: Cooperative Teamwork & Recycling Assistance (CTRA) is a 501(c)3 non-profit organization formed in 1994 whose goal is to protect the viability of recycling as a solid waste management option for its members: 60 rural recycling cooperatives representing more than 500 public, private and nonprofit entities. They provide technical assistance, cooperative marketing of recyclable commodities, contract negotiation with haulers and end markets as well as recycling education to increase the amount and quality of collected recycled materials and to promote the development of end-markets for recyclables in Texas.